The Loudoun County Board of Supervisors on Thursday approved a two-year, $4.7 million contract with Correct Care Solutions to provide medical and psychiatric services to inmates at the Loudoun County Adult Detention Center. The Nashville-based company has been providing those services at the jail for more than a decade. However, several supervisors expressed frustration with the selection process, saying they had little choice but to stay with the current provider, even though two competing firms submitted proposals with lower price tags. Supervisors also questioned whether the process of reviewing the proposals had been tainted because Correct Care Solutions has made campaign contributions to Sheriff Michael L. Chapman (R), who is responsible for overseeing the contract. 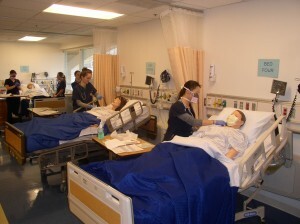 Inova Loudoun Hospital officials announced this month that they will alter procedures and enhance the emergency room at the Lansdowne campus in an attempt to attain designation from the Virginia Department of Health as a Level III trauma center. If the effort is successful, it would be the first trauma center in Loudoun County. There will be gowns and tuxedos, limousines and a catered dinner, chandeliers and a disc jockey. There will also be hats. Lots of hats. But Freedom High School in South Riding will not be having a typical prom this year. The school has decided that all the money that would usually be spent to create an evening of luxury and entertainment for students will be used to fight childhood cancer. Instead of a fancy hotel, Saturday’s prom will take place at the high school, where the cafeteria and gym will be transformed into a dining room and ballroom. Prince William and Loudoun counties are among eight localities in Virginia that have begun offering care to young adults who have recently experienced their first psychotic episode. It was harrowing, student nurse Lisa Bowen said. Her patient was undergoing a medical procedure on his kidney. Shortly after Bowen attached an IV to give him blood, he began showing signs of a severe allergic reaction. “I can’t breathe,” he gasped. His arm felt itchy, he said, and his heart began racing. Bowen quickly detached the IV and called for a doctor. Although allergic reactions can be life-threatening, Bowen never worried that her patient would die — because he was not alive. He was one of a growing number of high-tech, lifelike manikins that the George Washington University School of Nursing in Ashburn uses to train students. Author jimPosted on December 7, 2015 Categories Washington PostTags Ashburn, education, George Washington University, health care, Loudoun County, technologyLeave a comment on They’re no dummies! 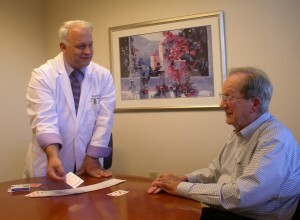 Dr. Anthony Felice (left) entertains patient Bernie Terry with a card trick. When Anthony Felice meets with his patients, most of whom have cancer or blood disorders, he often uses a tool seldom found in medical textbooks or offices: a deck of cards. A specialist in oncology and hematology, Felice is a skilled magician who has found a way to work his hobby into his medical practice. Since opening his office in Reston in 1995, he has discovered that entertaining his patients with card tricks is an effective way to relieve tension and take their minds off their medical problems. 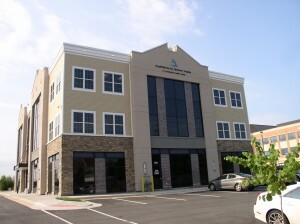 HealthWorks for Northern Virginia, a Leesburg-based community health center, has returned to stable financial condition after a year of uncertainty, the organization’s top officials announced this month at a meeting of the Loudoun County Board of Supervisors’ finance committee. 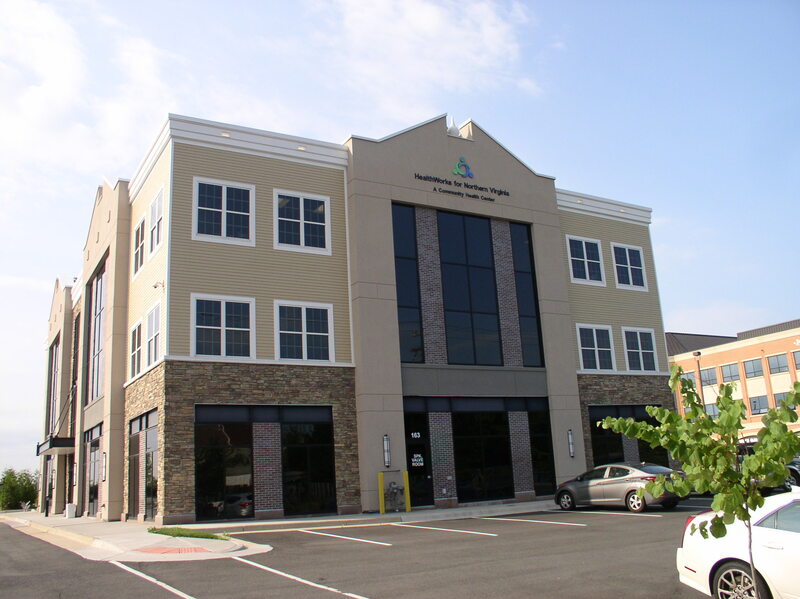 HealthWorks for Northern Virginia, the financially troubled nonprofit health service provider charged by the Loudoun County Board of Supervisors with improving its productivity before it could receive additional county funding, is making progress toward its goals. For one week at the end of May, Daphne Thomas and Edward Puccio, emergency physicians at Inova Loudoun Hospital, left one of the most affluent counties in the United States to care for thousands of people who had never seen a doctor before. Since Capital Hospice began offering services to people with terminal illnesses in Loudoun County more than 35 years ago, it has focused on delivering end-of-life care and comfort to patients in their homes. That will change next month, when the nonprofit company, now called Capital Caring, fully opens the Adler Center for Caring on the Van Metre Campus in southeastern Loudoun.